UX Training and courses about design and user experience in Canada. | Yu Centrik Inc.
Today more 4500 participants have been certified worldwide. Natalie Jhaveri brings thirteen years of experience practicing user-centered design, seven of which were in software companies and six years in mobile solutions. Having worked in large companies such as Nokia, she understands well how to integrate the design of digital projects, the needs of clients, business objectives, and technological constraints. Natalie values lean, Agile UX methods and collaborative design. She designed and developed her first HTML pages in 1996 for Nortel's intranet. Since then she has been fascinated with people and technology, and the integration of human factors into product and service design. She spent 5 years in Finland and was very much immersed into Nokia’s culture. Natalie has an M.Sc. in Interactive Technology (HCI unit - University of Tampere, Finland) and a B.Sc. in Computer Science (University of Ottawa). Do you need to know how to manage UX activities in a digital product? How to meet business objectives and market demands through user centred design? UX-PM 2 certification is for digital product owners, marketing, and project managers, who want to establish a deeper understanding of UX activities and how to incorporate them from the project management and execution perspective, in order to improve the quality of the deliverable/product/service. UX-PM 2 certification is best suited for UX-PM Level 1 certified practitioner or IT decision-makers including product owners, account managers, project managers, digital marketing managers, with 2 to 4 years of experience managing a technology-based product or service. "Level 2 has helped me realize the real steps of a project when UX is most important and how to better understand the objectives of users. It helps to sell and convince the process of your digital projects to leaders." 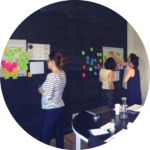 "I discovered a different aspect of this training UX and made ​​me want to continue to learn on this subject". Joelle designed the first Campus Wide Information System (CWIS) on the Internet for the University of Montreal in 1990 and was part of a user interface group at CRIM (Montreal Computing Research Center). Being as one of the first Certified HFI’s Usability Analyst, she continues to learn about human behaviour and is still as passionate as ever to design engaging products and services that customers will love using. 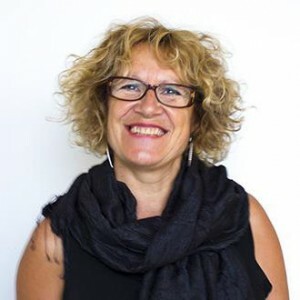 Joelle is very involved in teaching the UX-PM Certification program developed in collaboration with her partners at UXalliance, a global network of User Experience Experts. 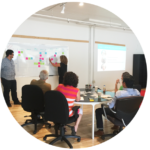 The Canadian UX-PM certification is currently available in: Ottawa, Montreal, Quebec City & Toronto. Outside of Canada, the certification is offered in Australia, Belgium, Brazil, Canada, Finland, France, India, Mexico, Poland, Spain, South Africa, Switzerland, United-States and with more countries coming. Yu Centrik, the UX agency reserves the right to cancel a course up to 5 business days prior to the scheduled course date if the minimum class size of 4 participants has not been attained. The third course, UX-PM3, is for anyone who wants to build a UX team and incorporate UX vision and leadership in the organization’s business strategy. We'll explain the various profiles of a typical user experience team and how to hire the right UX resources. You’ll also learn how to carry out a UX project successfully by: 1) Building a compelling UX business case 2) Communicate UX in a strategic way 3) Defining UX metrics and measuring the impact of UX on the project. UX-PM 3 certification is best suited for UX-PM Level 2 certified practitioners or professionals who have 5+ years of experience leading a technology-based solution or service. 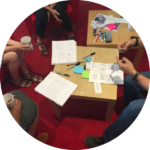 The Canadian UX-PM certification is currently available in: Ottawa, Montreal, Quebec City & Toronto. Outside of Canada, the certification is offered in United-States, Australia, Belgium, Brazil, Finland, France, India, Italy, Mexico, Poland, South Africa, and Switzerland, with more countries coming.